The popularity of Management education has come a long way since its inception in the country. From a management program offered to elite few in early eighties, to management education easily available to all those aspiring students in modern times, management studies has evolved to be one of the most sought after courses in the field of education. Moreover, employers are getting increasingly aware of this fact and it has become vital to make sure that your Management Certification comes from a reputable institute. 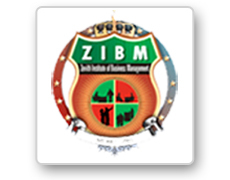 Zenith Institute of Business Management ZIBM, Mumbai offers various graduate courses as well as Post Graduate courses. Zenith Institute of Business Management ZIBM, Mumbai is affiliated to Karnataka State Open University, Mysore. List of facilities available at Zenith Institute of Business Management ZIBM, Mumbai for students. This page was last modified on 10 July 2014 at 13:07.